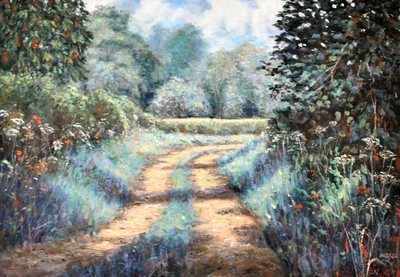 ORIGINAL OIL PAINTING "Cotswold Blue". BY THE FABULOUS ARTIST DAVID ALDUS. This recently found older painting!